Your email channel is your cheapest channel to communicate with customers. Why is it cheap? That’s because you have the capability to deliver a targeted message to your customer or potential customer at a very low cost. When used correctly, it will be your most efficient communication channel. Since your unsubscribe value is high, losing a customer to unsubscribe has a cost. 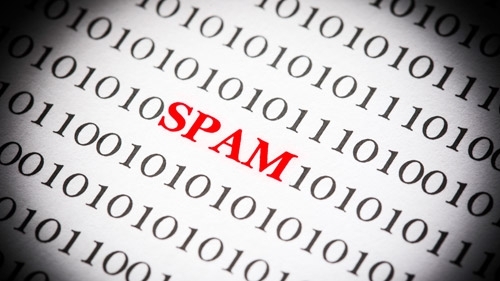 So how do you avoid the spam trap? Here are 3 easy things you can do to avoid upsetting your customers. To be successful in email, it’s about delivering the right message at the right time to the right customer. Sending your customers messages too frequently when it is not relevant to their needs, will do only one thing—cause the customer to unsubscribe. According to research from DMA, 47% of consumers unsubscribed from email. So how should you avoid this, you may ask? There are a few things you can do. Create regular, re-occurring communications. Set expectations with your customers. Also, keep a close eye on how your campaigns are performing. If customers are not opening your emails, then take them out into a special segment. No point emailing customers who are not engaging with you. According to the recent DMA study, 25% of consumers found information in emails irrelevant. Think about whether your communication is full of information that’s irrelevant to your customers. If it is, then why would they want to receive your emails? It’s just clutter in their inbox. What do people do with clutter? They discard it. If you don’t want to be considered as clutter, make your message relevant to your customer. Create a conversation that’s based on what you know about their persona, needs, and interests. There are several things that can happen at the end of an article. The customer will click on your link. That’s the goals behind the email, the click. To be honest, 90% of the time, that’s not what happens. The worst thing to happen is if they click the spam button, delete your email, or, worse, unsubscribe. When you send an email, make sure you make it easy for the customer to engage with the communication. If they do unsubscribe, it’s ok to send a service email and find out why they unsubscribed. If anything, you will learn how to improve your communication.